I’m continuing to enjoy Brad Feld and Jason Mendelson’s outstanding book, “Venture Deals”. 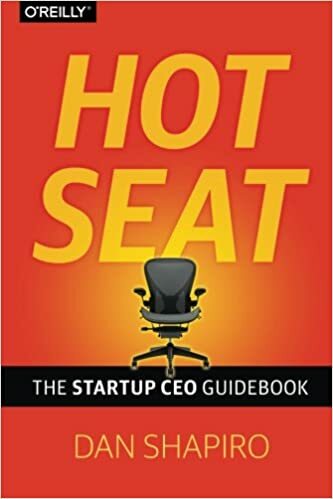 On page 106 (of the Kindle edition, at least) they address an issue that’s very minor unless you’re dealing with it: board members who like to live large on the company dime. VCs will charge all reasonable expenses associated with board meetings to the company they are visiting. This usually isn’t a big deal unless your VC always flies on his private plane and stays at the presidential suite at your local Four Seasons hotel. In the case where you feel your VC is spending excessively and charging everything back to the company, you should feel comfortable confronting the VC. If you aren’t, enlist one of your more frugal board members to help. This advice is great, but things can sometimes get hairy – you may not have a frugal board member who wants to challenge your large-living board member on the topic. I had a similar situation at a past company, and while it never occurred to me to ask another board member to help, we came up with our own solution. Without placing any blame, we wrote up a reasonable travel expense policy for the company. We then brought it to the BoD and asked them to approve it. I explained that expenses were getting a little out of hand, and we wanted to reign things in. I then said the magic bit – “Since this will apply to everyone submitting expenses, including me and any other board members who are traveling, I wanted to have it officially adopted by a board action.” It was approved without any fuss. The policy clearly stated that, for example, that the maximum reimbursement was the cost of full-fare coach. So when a first class ticket came in, we priced how much the coach ticket would have cost, and that was the amount of reimbursement sent. The board member’s admin asked why the full reimbursement wasn’t included, our comptroller explained, and the whole thing was quietly* solved with no bruised egos. This person was a really great guy, and I’m sure wouldn’t have done this if he knew how much it bugged me (part of why I wanted to spare him the embarrassment of confronting him about it). It’s possible that he didn’t know about it; he had an admin, and admins will often handle upgrades (complimentary ones). Many see their job as taking care of their boss, not their boss’s portfolio, and may book first (while the VC thinks they just got a comp upgrade). I’ve known this to happen at least once. People like to dig on VCs, but the ones I know are almost entirely great folks, which is saying a lot for a job that consists of saying no to 99.9% of the time.